Episode 23: What We Love with Charlisa Delancy-Cash, Dixie Thompson and Dawn Eileen. “What We Love” editor Donna Kozik interviews Charlisa Delancy-Cash, Dixie Thompson and Dawn Eileen about their entries in this edition of The Community Book Project. You can find out more about “What We Love” at www.BooksByDonnaK.com or on Amazon. Join The Community Book Project at www.TheCommunityBookProject.com. If you’re looking to write a book of your own, check out the free book planner at www.FreeBookPlanner.com. About this episode’s guests: Charlisa E. Delancy-Cash resides in the Bahamas with her two daughters. She enjoys swimming in the ocean. Her writings inspire women to pursue relationships that are soulful and wholesome. Find her at: www.facebook.com/CharlisacC. Dixie L. Thompson is a retired US Army veteran, serial entrepreneur, and volunteer helping others discover and reach the life they want to live. Find out more at:www.facebook.com/Dixie-Thompson-877396068945864. Dawn Eileen is a writer, coach, and lover of life. She believes that life is too short not to enjoy it. Contact Dawn at: DawnEileenSnyder@gmail.com. “What We Love” editor Donna Kozik interviews Norma Bonner Elmore, Donna Burgher and Warren Henderson about their entries in this edition of The Community Book Project. You can find out more about “What We Love” at www.BooksByDonnaK.com or on Amazon. Join The Community Book Project at www.TheCommunityBookProject.com. If you’re looking to write a book of your own, check out the free book planner at www.FreeBookPlanner.com. About this episode’s guests: Norma Bonner Elmore, Ed.D, is a specialist in music styles and music theory. She can be reached at her email address: Norma.Elmore@yahoo.com. Donna Burgher is the creator of Create & Manifest a Life You Love™. She’s an advanced manifesting mentor, self-empowerment mindset coach, and international best-selling author. Get your free eBook at: www.DonnaBurgher.com. Warren L. Henderson is an engineer, college professor, author, and speaker. He is available at: WarrenHCL@gmail.com. “What We Love” editor Donna Kozik interviews Gwyn Goodrow, Mary Choo, and Beth Munro about their entries in this edition of The Community Book Project. You can find out more about “What We Love” at www.BooksByDonnaK.com or on Amazon. Join The Community Book Project at www.TheCommunityBookProject.com. If you’re looking to write a book of your own, check out the free book planner at www.FreeBookPlanner.com. About this episode’s guests: Gwyn Goodrow is co-founder of www.CabinsOrCastles.com, where she offers journal printables and a complimentary beginner’s guide to journaling. Gwyn enjoys experiential travel, writing, photography, and creative arts. Mary Choo is an OT and author of “Reclaiming Ourselves” who helps people hear the whisper of their hearts guidance and accept the universe’s co-creative support. Email her at: MaryCho9@iinet.net.au. Among other things, Beth Munro provides coaching and organizing for life and home--“Moving you from OMG to Ommm…” Enjoy her testimonials at: www.FromOMGtoOm.com. Episode 20: What We Love with Carol Brusegar, Marcelle della Faille and Chineme Noke. “What We Love” editor Donna Kozik interviews Carol Brusegar, Marcelle della Faille and Chineme Noke about their entries in this edition of The Community Book Project. You can find out more about “What We Love” at www.BooksByDonnaK.comor on Amazon. Join The Community Book Project at www.TheCommunityBookProject.com. If you’re looking to write a book of your own, check out the free book planner at www.FreeBookPlanner.com. About this episode’s guests: Carol Brusegar focuses on transforming life after 50 into a time of exploration, joy, and contribution for herself and others. Find out more at www.CarolBrusegar.com. Marcelle della Faille is a writer and mentor of high achievers in the transformational industry, helping them manifest their biggest dreams loving themselves more. Find out more and get a free gift at www.LoveAndMoneyAlchemy.com. Chineme Noke is a mother, recovering corporate lawyer, success coach, and International Literary Award Winning Author. Find out more about her Amazon #1 new release at and more about Chineme at www.SpecialHiddenTalents.com. "A Gift of Gratitude" editor Donna Kozik interviews Donna Burgher about incorporating gratitude and choice in daily life for yourself and your kids. Mary Choo and the healing power of gratitude. A scheduling snafu held up our third interviewee, so we read two inspiring entries from the book from Robyn MacKillop, who's moving entry describes her life with both multiple sclerosis and an amazing husband. The episode is rounds out with a reading from contributor Tara Kachaturoff who inspires readers with her gratefulness for exercise. They are all contributing authors to the latest edition of "The Community Book Project." You can find out more about the book "A Gift of Gratitude" at http://BooksByDonnaK.com or on Amazon and find out more about The Community Book Project at http://TheCommunityBookProject.com. If you’re looking to write a book of your own, check out the free book planner at http://FreeBookPlanner.com. "A Gift of Gratitude" editor Donna Kozik interviews Taeko Hayatsu and setting yourself up with gratitude to become both happier and "luckier." Joe Raab talks about his gratefulness in overcoming anxiety by making a conscious choice to do so. The episode ends with LC Plaunt's story of living with daily pain and how she decided to overcome and continue to make a difference in the world. 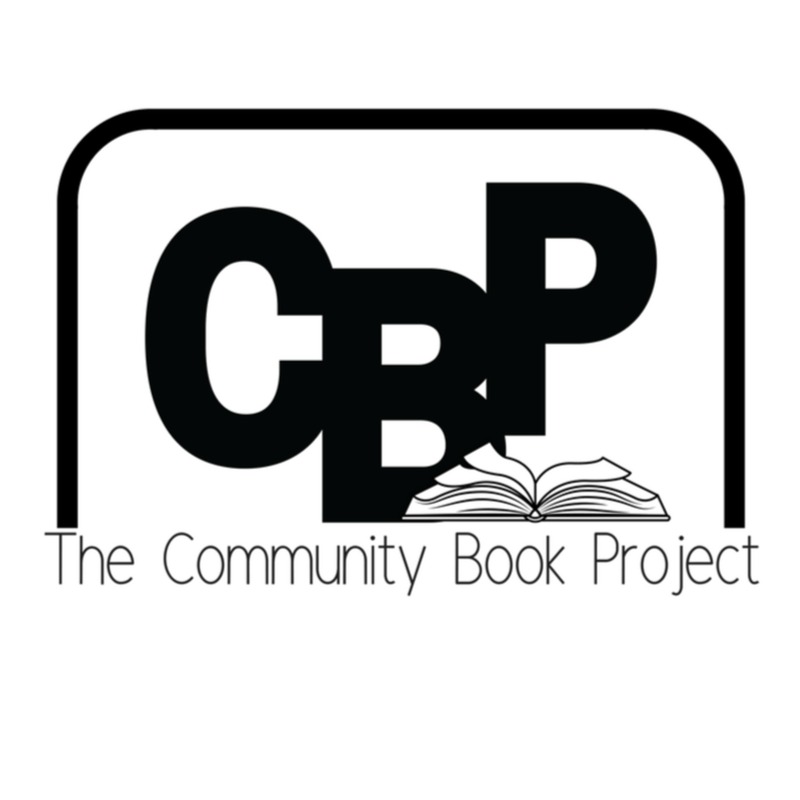 They are all contributing authors to the latest edition of "The Community Book Project." You can find out more about the book "A Gift of Gratitude" at http://BooksByDonnaK.com or on Amazon and find out more about The Community Book Project at http://TheCommunityBookProject.com. If you’re looking to write a book of your own, check out the free book planner at http://FreeBookPlanner.com. "A Gift of Gratitude" editor Donna Kozik interviews Marcelle della Faille who discusses how to bring peace in the world by choosing gratitude. Then Katie De Souza talks about her gratitude for "owning her day" and being an entrepreneur. Suzanne Cousins describes the love and compassion shown by "fur family" members, and Norma Elmore puts the finishing touch on this episode by discussing how gratitude can work in mysterious ways. They are all contributing authors to the latest edition of "The Community Book Project." You can find out more about the book "A Gift of Gratitude" at http://BooksByDonnaK.com or on Amazon and find out more about The Community Book Project at http://TheCommunityBookProject.com. If you’re looking to write a book of your own, check out the free book planner at http://FreeBookPlanner.com. "A Gift of Gratitude" editor Donna Kozik interviews Warren Henderson Jr. about helping and showing gratitude to those who aren't usually "first in line" to receive it. Guest and contributor Ruth Strebe talks about a mom at her wit's end before someone shows some "cookie gratitude" and comes to the rescue. Then Carol Stockall closes out this episode by throwing sparkly, glittery gratitude confetti over everyone. They are all contributing authors to the latest edition of "The Community Book Project." You can find out more about the book "A Gift of Gratitude" at http://BooksByDonnaK.com or on Amazon and find out more about The Community Book Project at http://TheCommunityBookProject.com. If you’re looking to write a book of your own, check out the free book planner at http://FreeBookPlanner.com. "A Gift of Gratitude" editor Donna Kozik interviews Louise Lavergne about making a ritual of gratitude (even when the world is a hustle and a bustle) and Connie Ragen Green about changing your attitude from grouchy to gratitude--for good! The final guest, Ellen Watts, talks about how the Cosmic Order loves gratitude--and how it intervened to help Ellen get her gook done. They are all contributing authors to the latest edition of "The Community Book Project." You can find out more about the book "A Gift of Gratitude" at http://BooksByDonnaK.com or on Amazon and find out more about The Community Book Project at http://TheCommunityBookProject.com. If you’re looking to write a book of your own, check out the free book planner at http://FreeBookPlanner.com. "A Gift of Gratitude" editor Donna Kozik interviews Judi Reid about speaking up for what--and who--you value; Roberta Gold who knows that "Laughter Rocks" (and is good for your health) and Holly Pitas, who has tips on talking with people who frustrate you. (Perfect for the holidays and useful all year 'round.) They are all contributing authors to the latest edition of "The Community Book Project." You can find out more about the book "A Gift of Gratitude" at http://BooksByDonnaK.com or on Amazon and find out more about The Community Book Project at http://TheCommunityBookProject.com. If you’re looking to write a book of your own, check out the free book planner at http://FreeBookPlanner.com. "A Gift of Gratitude" editor Donna Kozik interviews Brenda Lanigan about "The Voice Within," Nikki Brown (who received an honorary doctorate in gratitude) and Gwyn Goodrow, who is a real Crocheting Queen--all contributing authors to the latest edition of "The Community Book Project." You can find out more about the book "A Gift of Gratitude" at http://BooksByDonnaK.com or on Amazon and find out more about The Community Book Project at http://TheCommunityBookProject.com. If you’re looking to write a book of your own, check out the free book planner at http://FreeBookPlanner.com. Episode 11: Intro: The Return of The Community Book Project with "A Gift of Gratitude"
We're back with a new book and a new set of interviews with contributing authors! This edition of The Community Book Project focuses on the feeling of gratitude. Host Donna Kozik gives the scoop about "A Gift of Gratitude," including how the welcome addition of our favorite causes, which was sparked by an entry by Martin Salama. Find our book "A Gift of Gratitude: A Community Book Project" on Amazon and get on the interest list for our next Community Book Project at http://TheCommunityBookProject.com. "Success Is Yours" editor Donna Kozik interviews LaVerne Byrd, Ellen McNeill and Donna Burgher, contributing authors to "The Community Book Project." You can find out more about the book "Success Is Yours" at http://BooksByDonnaK.com or on Amazon and find out more about The Community Book Project at http://CommunityBookProject.com. If you’re looking to write a book of your own, check out the free book planner at http://FreeBookPlanner.com. "Success Is Yours" editor Donna Kozik interviews Doria Musaga, Robyn MacKillop and Kelly Johnson, contributing authors to "The Community Book Project." You can find out more about the book "Success Is Yours" at http://BooksByDonnaK.com or on Amazon and find out more about The Community Book Project at http://CommunityBookProject.com. If you’re looking to write a book of your own, check out the free book planner at http://FreeBookPlanner.com. "Success Is Yours" editor Donna Kozik interviews Anne Skinner, Nancy “Nanobug” Haberstich and Leasha West, contributing authors to "The Community Book Project." You can find out more about the book "Success Is Yours" at http://BooksByDonnaK.com or on Amazon and find out more about The Community Book Project at http://CommunityBookProject.com. If you’re looking to write a book of your own, check out the free book planner at http://FreeBookPlanner.com. 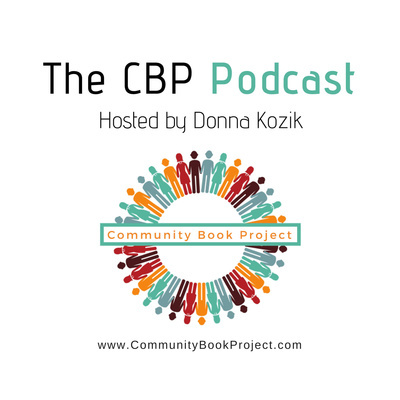 "Success Is Yours" editor Donna Kozik interviews Daphne Greer, Sarah- Jane Watson and Chipo Shambare, contributing authors to "The Community Book Project." You can find out more about the book "Success Is Yours" at http://BooksByDonnaK.com or on Amazon and find out more about The Community Book Project at http://CommunityBookProject.com. If you’re looking to write a book of your own, check out the free book planner at http://FreeBookPlanner.com. "Success Is Yours" editor Donna Kozik interviews John Williams, Debbie Bolton & Linda Easthouse, contributing authors to "The Community Book Project." You can find out more about the book "Success Is Yours" at http://BooksByDonnaK.com or on Amazon and find out more about The Community Book Project at http://CommunityBookProject.com. If you’re looking to write a book of your own, check out the free book planner at http://FreeBookPlanner.com. "Success Is Yours" editor Donna Kozik interviews Mary Anne Strange, Irena Kay and Dan Murray, contributing authors to "The Community Book Project." You can find out more about the book "Success Is Yours" at http://BooksByDonnaK.com or on Amazon and find out more about The Community Book Project at http://CommunityBookProject.com. If you’re looking to write a book of your own, check out the free book planner at http://FreeBookPlanner.com. "Success Is Yours" editor Donna Kozik interviews Julaina Kleist, Norma Elmore & Margy Lang, contributing authors to "The Community Book Project." You can find out more about the book "Success Is Yours" at http://BooksByDonnaK.com or on Amazon and find out more about The Community Book Project at http://CommunityBookProject.com. If you’re looking to write a book of your own, check out the free book planner at http://FreeBookPlanner.com. "Success Is Yours" editor Donna Kozik interviews Peggy Lee Hanson, Katie de Souza and Shelly O’Donovan, contributing authors to "The Community Book Project." You can find out more about the book "Success Is Yours" at http://BooksByDonnaK.com or on Amazon and find out more about The Community Book Project at http://CommunityBookProject.com. If you’re looking to write a book of your own, check out the free book planner at http://FreeBookPlanner.com. The "Success Is Yours" podcast series from "The Community Book Project" begins with an interview from one of our celebrity authors, Connie Ragen Green. Connie is a book publishing and promotion queen, and I was thrilled to have her take part in "The Community Book Project" and submit an entry to "Success Is Yours." In this episode Connie, who has authored more than a dozen books of her own, talks about getting in the habit of writing. We also discuss her "Success Is Yours" entry and share some ideas for promoting yourself as an author. More about Connie can be found at http://ConnieRagenGreen.com. The book "Success Is Yours" can be found at Amazon.com. Find out how to write your own book at http://FreeBookPlanner.com. Take 2 minutes and discover who we are and what we're all about. It's The Community Book Project with lead editor Donna Kozik.